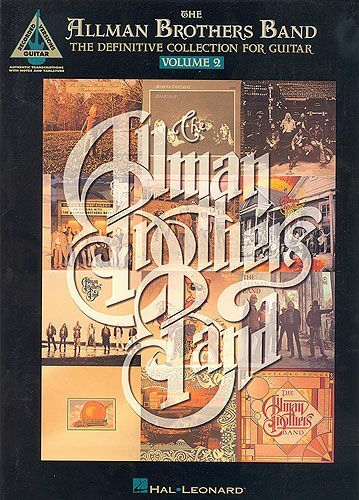 ALLMAN BROTHERS BAND, THE DEFINITIVE COLLECTION FOR GUITAR VOLUME 2. I'm Your Hoochie Coochie Man -In Memory Of Elizabeth Reed -It's Not My Cross To Bear -Jelly Jelly -Jessica -Just Ain't Easy -Just Another Love Song -Kind Of Bird -Leave My Blues At Home -Les Brers In A Minor -Little Martha -Melissa -Midnight Blues -Midnight Rider -Mountain Jam -Nevertheless -Nobody Knows -One Way Out. TAB. Please Call Home - Pony Boy • Ramblin' Man - Revival - Sail Away - Seven Turns - Southbound - Stand Back - Statesboro Blues - Straight from the Heart - Trouble No More (Someday Baby) - Wasted Words - Whipping Post - Win, Lose or Draw - You Can't Lose What You Ain't Never Had - You Don't Love Me. Dickey Betts led the Jacksonville psychedelic band the Second Coming; drummer J.
his way to becoming the world's greatest white blues singer. Music Transcriptions: John Garwood, Jesse Gress, Joff Jones, Jack Morer, Andy Robyns. Our matching folio to The Beatles' timeless and glorious third album features note-for-note transcriptions with tab for these 13 Lennon & McCartney jewels: And I Love Her - Anytime at All - Can't Buy Me Love - A Hard Day's Night - I Should Have Known Better - I'll Be Back - I'll Cry Instead - I'm Happy Just to Dance with You - If I Fell - Tell Me Why - Things We Said Today - When I Get Home - You Can't Do That. Our matching folio to The Beatles' timeless and glorious third album features note-for-note transcriptions with tab for these 13 Lennon & McCartney jewels. 64 pages. Matching folio to the classic album, including the songs: Come Together - Here Comes the Sun - Octopus's Garden - Something , and more. This matching songbook to the first album of this double-album masterpiece. Includes 17 classic hits: Back in the U.S.S.R. • Blackbird • The Continuing Story of Bungalow Bill • Dear Prudence • Happiness Is a Warm Gun • I'm So Tired • Martha My Dear • Ob-La-Di, Ob-La-Da • Rocky Raccoon • While My Guitar Gently Weeps • Why Don't We Do It in the Road • Wild Honey Pie • more. CLAPTON ERIC, ERIC CLAPTON. TAB. 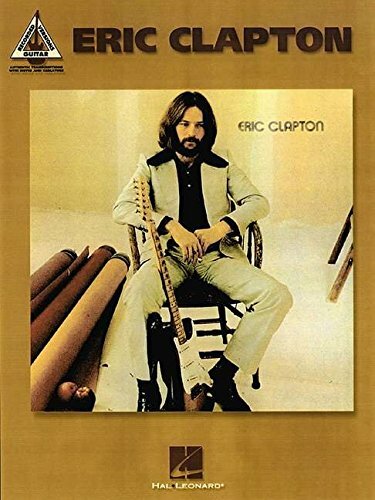 CLAPTON ERIC, JOURNEYMAN. Contiene: -pretending -anything for your love -bad love -running on faith -hard times -hound dog -no alibis -run so far -old love -breaking point -lead me on -before you accuse me. TAB.